What I find interesting about the collections I have featured is that they all are bound to a similar time and location. What we have are European collections from the 1700s-1800s with most of the pictures in black and white or sepia. I think some of us may have real difficulty identifying with the pictures because they are a little dated. I think the younger ones are probably more able to make emotional connections with Henry Martin's collection better or even with the World Mission collection. 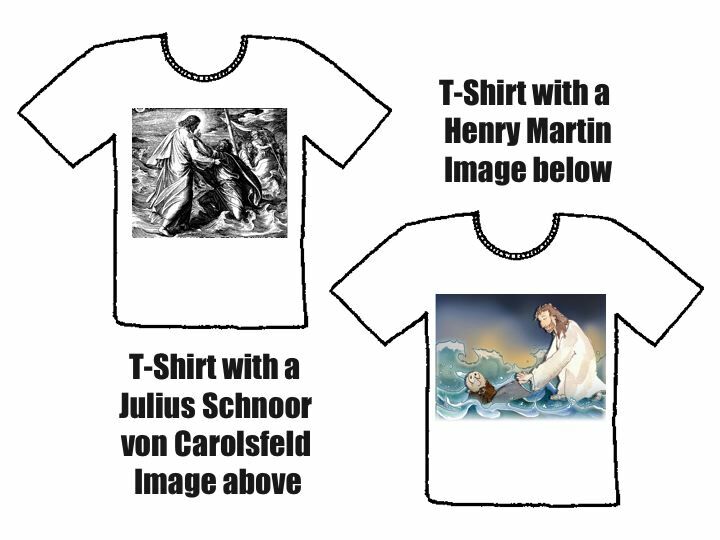 Would you wear a T-shirt with a picture by Julius Schnoor von Carolsfeld or by Henry Martin? That would be an interesting poll to take! There are however lessons to be learnt from history. While these pictures are by authors who were living in Christian or Christianized nations and living under some sort of a sacred canopy, it is interesting to note that that was a period where there was a flowering of Biblical illustrations. I wonder why? Was it because of poor literacy? Was it because there was a felt need to illustrate the Biblical text? Were there some political reason or push from a rich patron to illustrate the Bible? One is tempted to say that that period was a period of greater biblical literacy, but it might be saying too much to suggest that there was high biblical literacy across all segments of society. The issue of biblical literacy of course is an issue faced amongst churches located in the 21st C! The West is sometimes described as post-Christian. In Asia, while it is meaningless to speak of a post-Christian society (since Asia never had a period of being Christian or Christianized), parts of it is now post-literate. Given this mood with its proliferation of and heavy consumption of multimedia content, I suspect that there is deep desire for visual, even multimedia biblical content. If you visit the Canadian Bible Society, you will find several examples - what they call "e-scriptures or flash scripture movies." 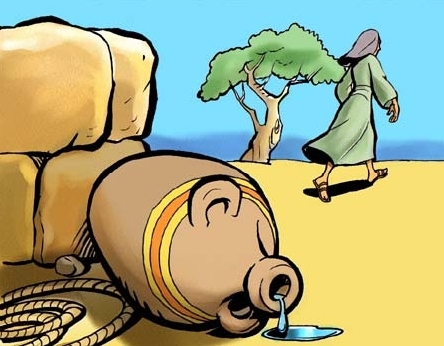 One of my favourite movies from that collection is the story of the Woman at the Well which is based on the Gospel of John chapter 4:5-42. Enjoy! The emphasis of this blog however is on stills rather than on moving objects, which is why I continue to explore collections of digitized stills which illustrate Biblical narratives. Continue to look out for links, descriptions and comments on issues accompanying the use of visuals to tell the story! I wonder what the place of visuals will be for promoting bible literacy amongst the young people today?? ?